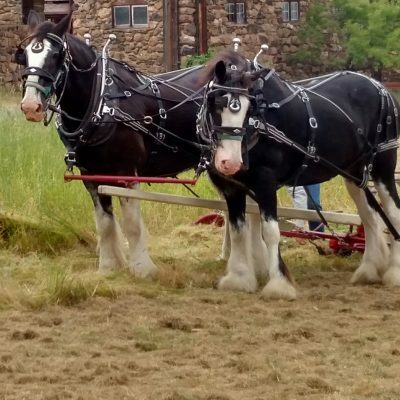 The North Coast Draft Horse and Mule Association presents the 36th annual draft horse Plowing Play Day at Jack London State Park. This popular family event features plowing and harnessing demonstrations, free horse-drawn wagon rides. See mules and Clydesdales Percheron, Shire and Belgian draft horses, blacksmiths,and Early Day Gas Engines. Food will be available catered by Picazo Cafe, with places to picnic throughout the Park’s “Beauty Ranch,” home of the famous author Jack London, who also raised Shire draft horses. The North Coast Draft Horse and Mule Association is a nonprofit organization dedicated to the gentle giants, and preserving the art of driving a team.